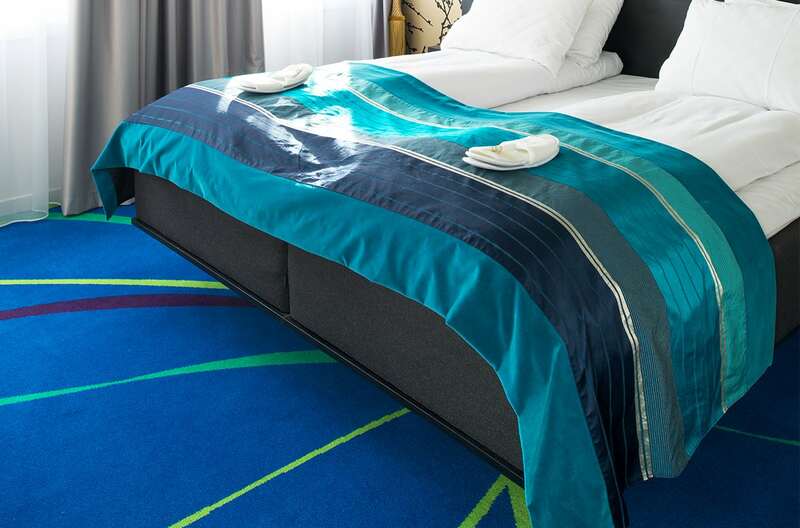 Custom designed Colortec carpets from Dansk Wilton contributes to the Thon Hotel Rosenkrantzs hotel decor that goes all in on colors and exciting experience universes. Thon Hotel Rosenkrantz is a new design hotel in the heart of Oslo city centre. 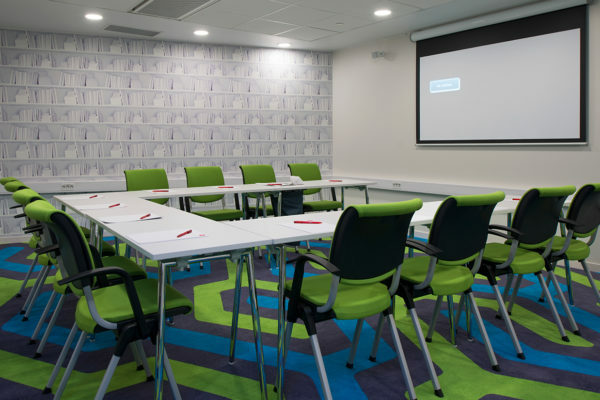 Dansk Wilton has delivered custom designed Colortec carpets for corridors, stairs, conference rooms, lounge, restaurant and suites as well as area rugs for the reception area and the suites. 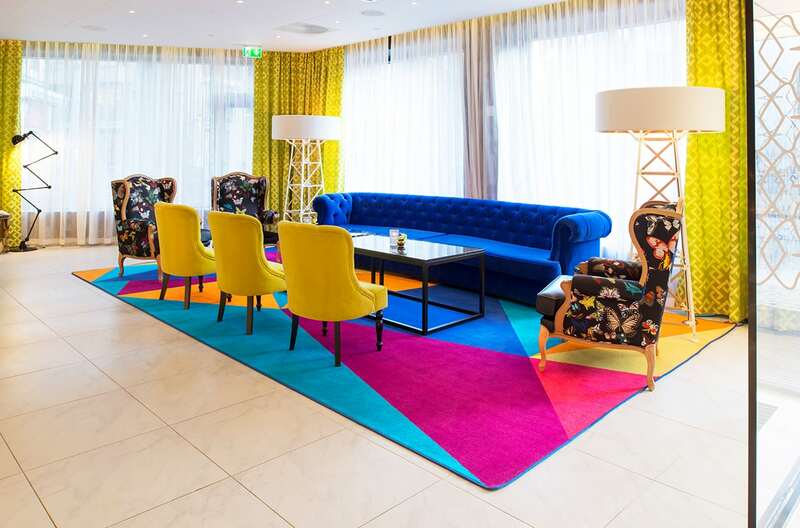 Thon Hotel Rosenkrantz oozes contemporary luxury. 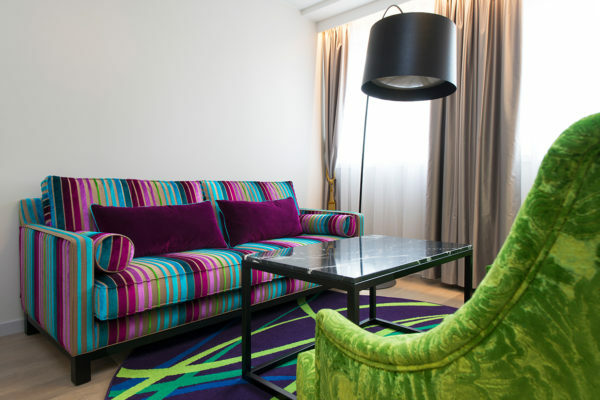 You are greeted with springly colors, exclusive materials and beautiful classic furniture with custom designed fabrics. 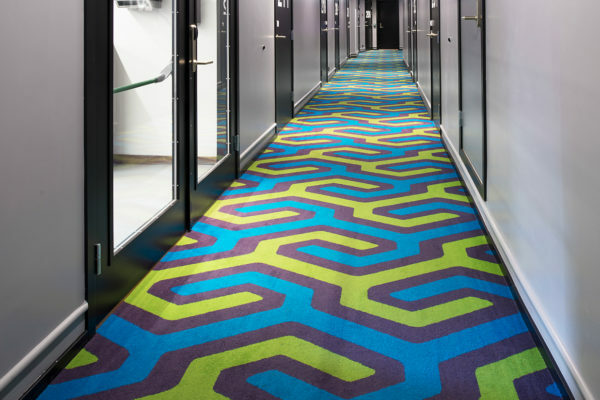 And of course bespoke design carpets emphasizing the expressive interior – nothing is left to chance. 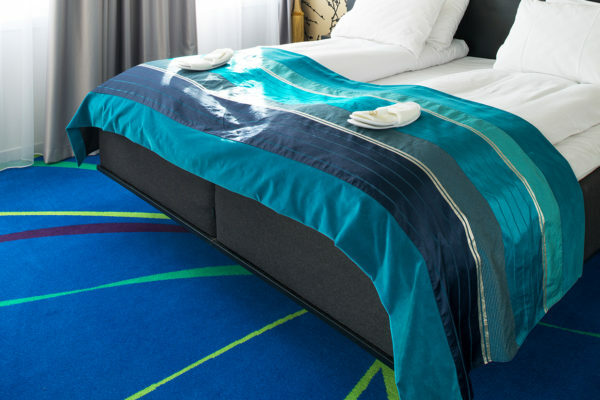 In such carpet projects, where clear and strong colors are crucial, it is essential to work with pre dyed yarns to ensure the right expression and color durability. 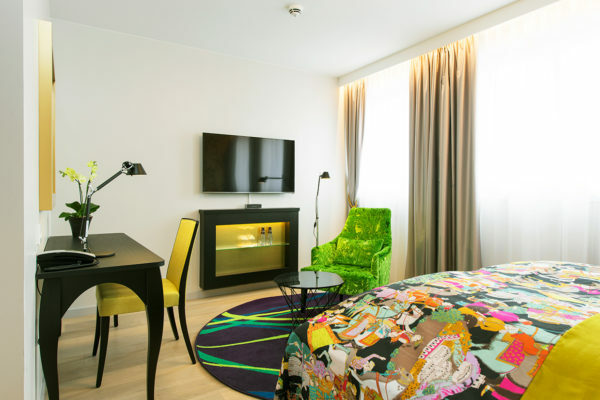 Convenience, quality and comfort make the guests feel at home in Thon Hotel Rosenkrantz. In the public areas, guests are greeted by small worlds of experiences and surprises in the décor. 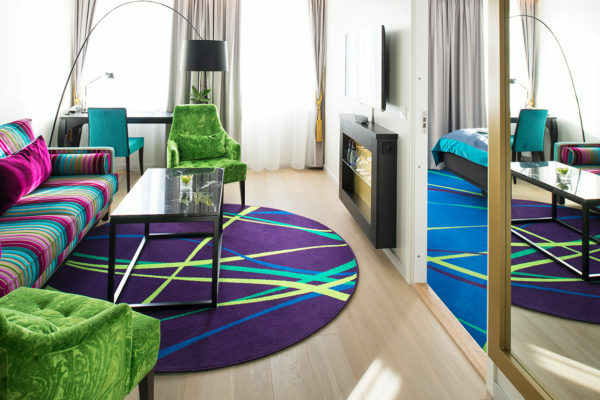 On top of the hotel, you are invited to Oslo Amazonas with palm leaves on the textiles and an intense mix of greens in the hotel lounge. The reception area is elegantly decorated with exclusive furniture and custom designed area rugs from Dansk Wilton. Custom designed Colortec carpets for corridors, stairs, conference rooms, lounge, restaurant and suites as well as area rugs for the reception area and the suites.